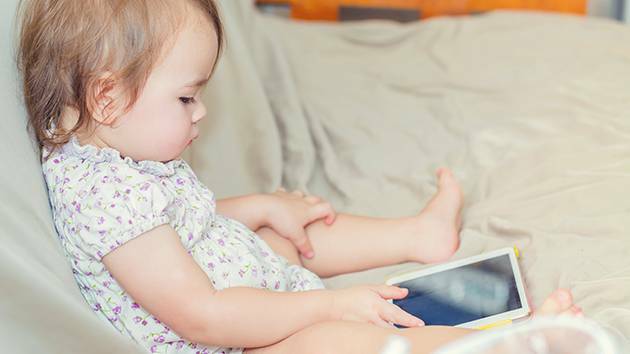 Your Body: Can too much screen time affect language development in babies? Babies may be more likely to have speech delays if they spend a significant amount of time on small screens, according to researchers from the University of Toronto. The researchers looked at 900 children between the ages of 6 months and 2 years old and found that by 18 months of age, 1 in 5 were already using hand-held devices for nearly a half an hour everyday. Here’s my take on babies and screen time: We still need more research in this area, and it’s important to remember that if there are potential negatives with screen time and babies, there could also be potential positives. For now, the occasional screen may be okay for a newborn but we know that babies need personal interaction for optimal overall development.